Summary: Fortune Makers analyzes and brings to light the distinctive practices of business leaders who are the future of the Chinese economy. These leaders oversee not the old state-owned enterprises, but private companies that have had to invent their way forward out of the wreckage of an economy in tatters following the Cultural Revolution. Outside of brand names such as Alibaba and Lenovo, little is known, even by the Chinese themselves, about the people present at the creation of these innovative businesses. Fortune Makers provides sharp insights into their unique styles — a distinctive blend of the entrepreneur, the street fighter, and practices developed by the Communist Party — and their distinctive ways of leading and managing their organizations that are unlike anything the West is familiar with. Purchase a copy of Fortune Makers here. 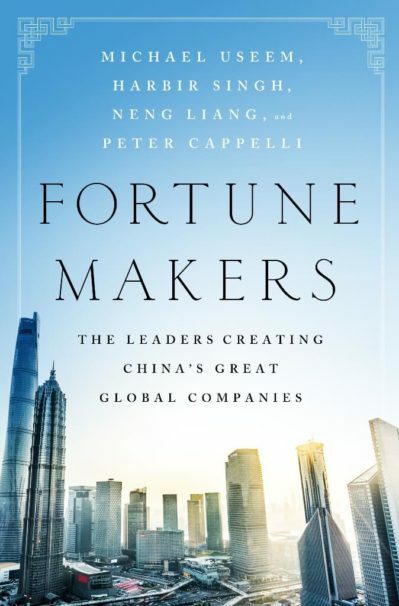 1 Pings/Trackbacks for "Fortune Makers: The Leaders Creating China’s Great Global Companies"